Abigail is a singer and actor, born and bred in London. Abigail graduated from Trinity College of Music with a 1st Class Honours Degree in Music Performance in 2011, a training which allowed her to continue both her Classical vocal grounding and develop her preferred career path in Musical Theatre. Abigail has since been performing as a soloist at The Pheasantry on the Kings Road in ‘Cabaret Confidential’ where she recently put on a one woman show ‘Just Keep Singing’, an evening which explored life through song. Before Trinity Abigail completed a Foundation Musical Theatre Diploma at Mountview Academy of Theatre Arts and also completed 'The Knack', a music course run by English National Opera. Abigail is a member of The Rebel Chorus which sings the works of composer Benjamin Till. Performances and recordings include ‘The London Requiem’, ‘Four Colours’ and most recently as a featured soloist in the BAFTA nominated ‘Our Gay Wedding: The Musical’. 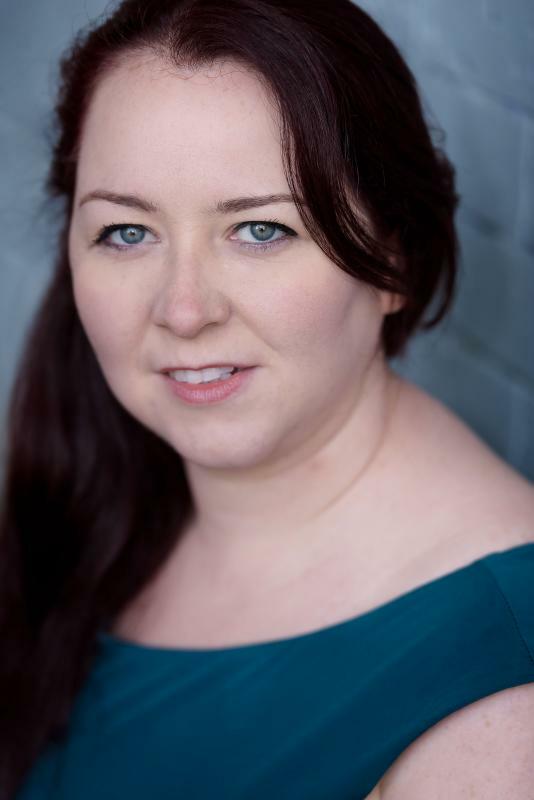 As a founding member of The Earl’s Courtiers dramatic society Abigail has recently directed and performed ‘An Evening with the Earl’s Courtiers’. In 2014 she performed as Olivia in ‘Twelfth Night’ and as Narrator 1 in ‘Under Milk Wood’ and in 2013 as Helena in ‘A Midsummer Night’s Dream’. Other notable performances outside of the Earl’s Courtiers include Woman in Stephen Sondheim’s ‘Marry Me A Little’ and ‘Side by Side by Sondheim’, various roles in ‘I Love You, You’re Perfect, Now Change’, Soloist in ‘Musicality’ at The Lost Theatre, and soloist in ‘The Rodgers and Hammerstein Concert’. Throughout the summer Abigail often performs with a Jazz ensemble that performs at a number of Garden Parties in the Earl’s Court area and has recently become a vital member of a covers band. She has also been a dep for a number of Church Choirs, standing in as Alto when needed. This usually consists of a short sight-read rehearsal before the actual service itself. Abigail is a strong and passionate singer, quick to pick up and learn music by heart, a very good sight reader, and strong harmony skills, whether taken from music or improvised. She is very familiar with work in many genres of music, as both a soloist and a choir member. She is always keen to learn and experience new things and will always give all she has to create a good and lasting performance.